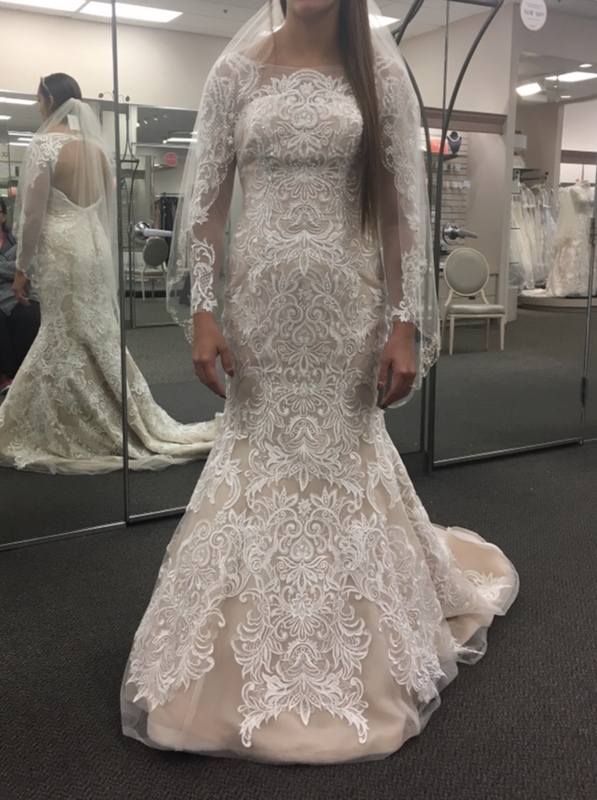 This is a gorgeous, vintage style, long sleeve, lace, trumpet illusion dress. 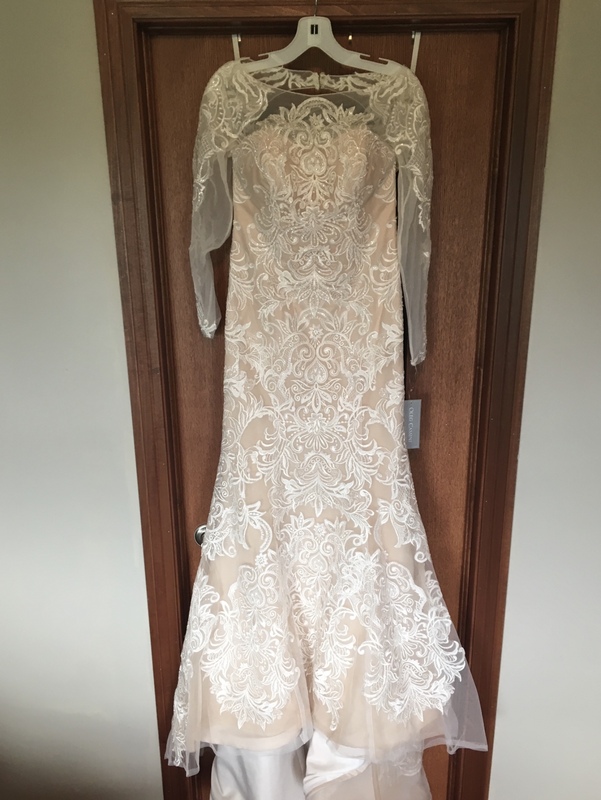 Size 8, no alterations have been made. 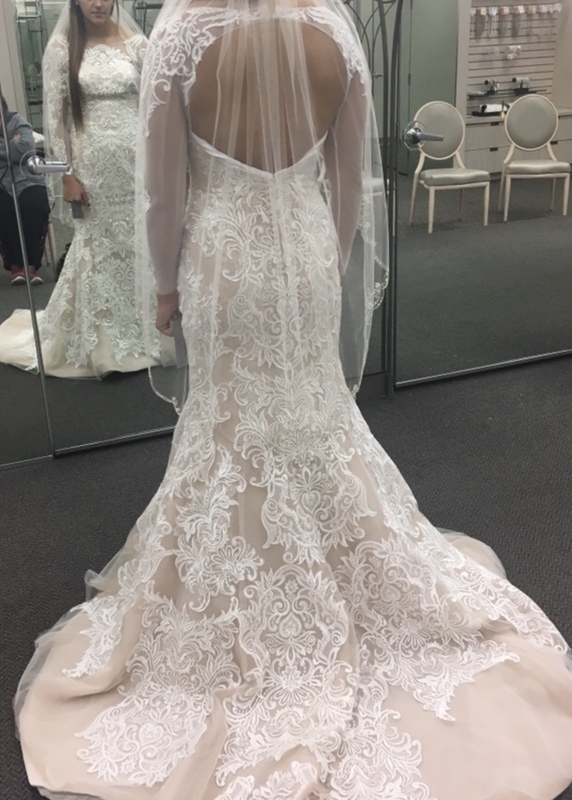 I got the dress for much cheaper than the original price of $1,450.00 because there is a small hole in the lace part of the armpit area. 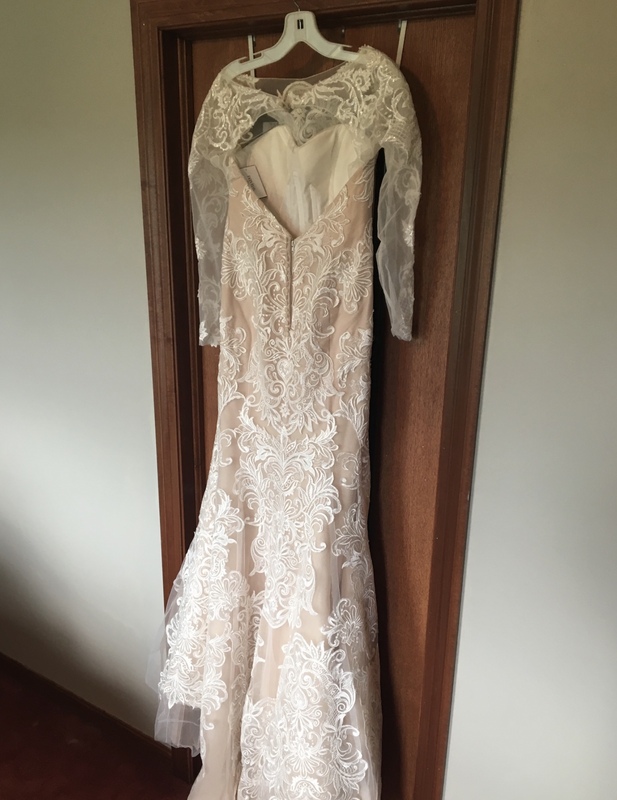 Since the wedding did not happen, it has not been taken in to be fixed (it may not even need fixed, just depends on the person). The dress Class/style #14030142. The veil is also a vintage style with metallic embroidery, mivory color. Style #45011336. I also have a vintage style, headband that looks beautiful with the dress and veil. It is a pave crystal, leaf twist headband. Class/style #4515-0362. Color: MGold.